Walk With Me Through The Walt Disney Family Museum And The Creation Of The Lion King! Hey y’all, guess what?! Remember when I went to San Francisco a couple of weeks ago to visit Pixar Studios and The Walt Disney Family Museum? Well, now I’m finally going to start sharing my amazing experience with all of you! I cannot even begin to tell you what an amazing time I had during the trip. If I had to choose my favorite part of the trip, I would have to make you a list. It seemed like every place we went was checking off another “to do” from my bucket list. I’m starting with the end. Visiting the Walt Disney Family Museum was at the end of our trip, but WOW! Talk about surreal; walking through the life of Walt Disney definitely takes the cake when it comes to getting a nostalgic feel for all things Disney. I’m not sure why, but what struck me the most about Walt Disney was his love for family. I knew that Walt Disney loved his family, but I could really feel the love of family when I walked into the museum. I think the love Walt Disney poured into everything he did gets overlooked far too often. As I walked through the museum and listened to our guide talk about all of the hardships Walt Disney overcame as a creator, I couldn’t help but get a little emotional thinking about what a huge impact his story has on young people today. Animation and film making is such a highly sought after field to go into and it is difficult to get a “big break” that listening to Walt Disney’s story can and will inspire any aspiring cartoonist. The story and struggle that was real in Walt Disney’s life will prove to anyone that hard work and following your passion will pay off as long as your persevere. 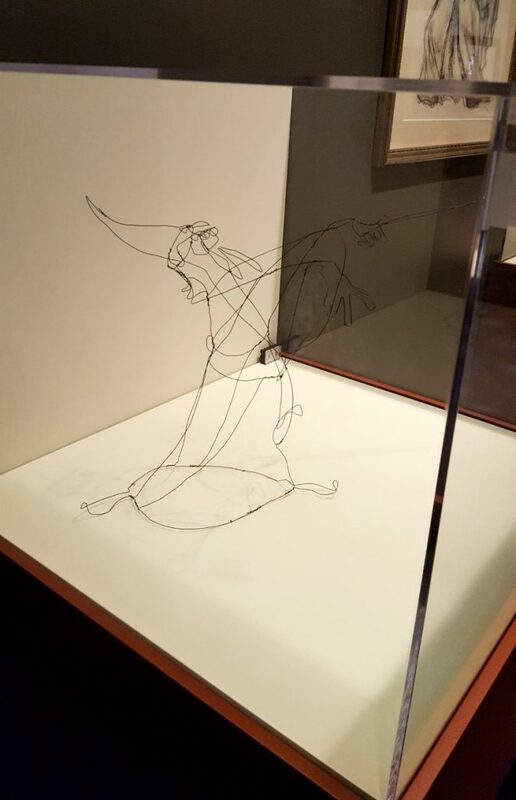 One of my favorite pieces in the exhibit of Andreas Deja was this wire sculpture of Merlin. Wire sculptures are magical and Andreas Deja truly captures the magic of Merlin with this sculpture. There are other wire sculptures in the exhibit and each is magical. As I walked around each sculpture, they seemed to come to life in a different way from each perspective. It is always amazing to see how animated films are created. Taking a stroll through the mind and thoughts of the most creative and talented artists in the world is always magical. 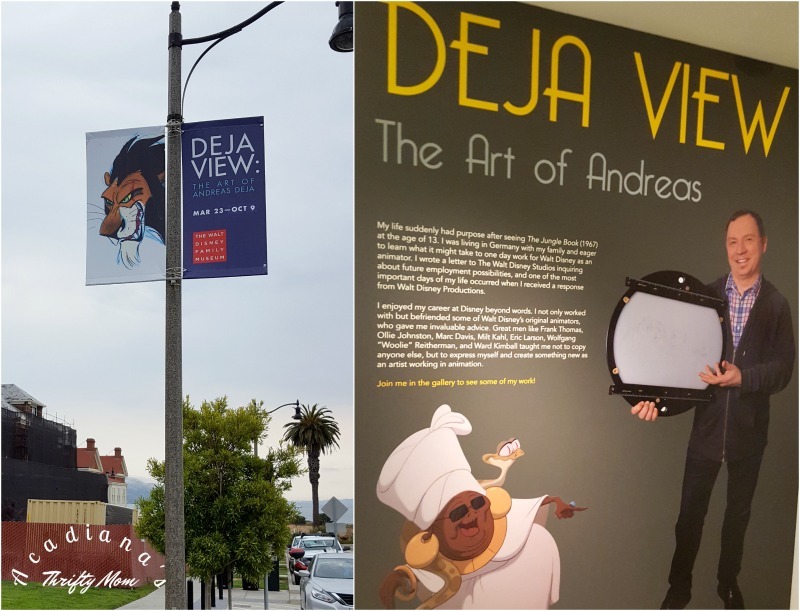 When we were walking through the Andreas Deja exhibit, I could feel his sense of wonder and magic that surrounded each and every piece of art on display. I think the best part was that I never felt like I was in a “museum”. I felt like I was getting to witness something that so many people never get to see. I had a feeling of awe when I was looking at pieces from the creation of The Lion King. The Lion King, y’all! I raised my kids on The Lion King and now I was able to see how the characters came to life. It was truly a life-changing experience. 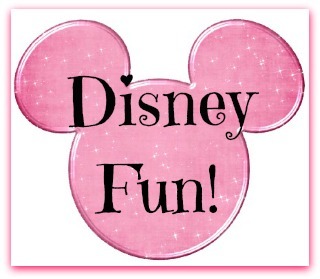 When I’m sitting and enjoying a Disney film with my family, no one gives much thought to how it was created and the hours that go into years of creating each character. Once you see how much work and heart goes into the creation of every character, yes even the snake in The Princess and The Frog, you get such an appreciation for the art of animation and not just the final film that you get to enjoy. The Walt Disney Family Museum is definitely something that should be on everyone’s Disney Bucket List. Not only is it a magical place to visit, but it is situated in San Francisco with a beautiful view of the bay. I only spent a few hours there, but could have spent the day and, probably, another day. There was so much to see and hear. I would love to have the opportunity to go back one day and just sit down and absorb all of the magic from each piece of art and animation. The Lion King is now available on digital and Disney Movies Anywhere and will be available on Blu-ray and DVD on August 29!